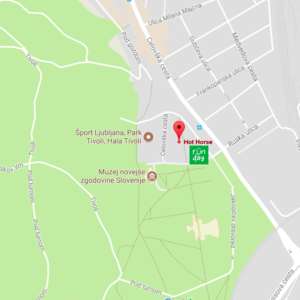 A weekly 5km runday run in Tivoli Park, Ljubljana. November – March: Every Saturday at 10:00. Warm-up at 9:30. Tivoli Park between Hot Horse and the Mini Golf Cafe. This is close to the entrance at Tivoli Park bus station. Do not forget your QR code! You will find this on your profile page after registration. 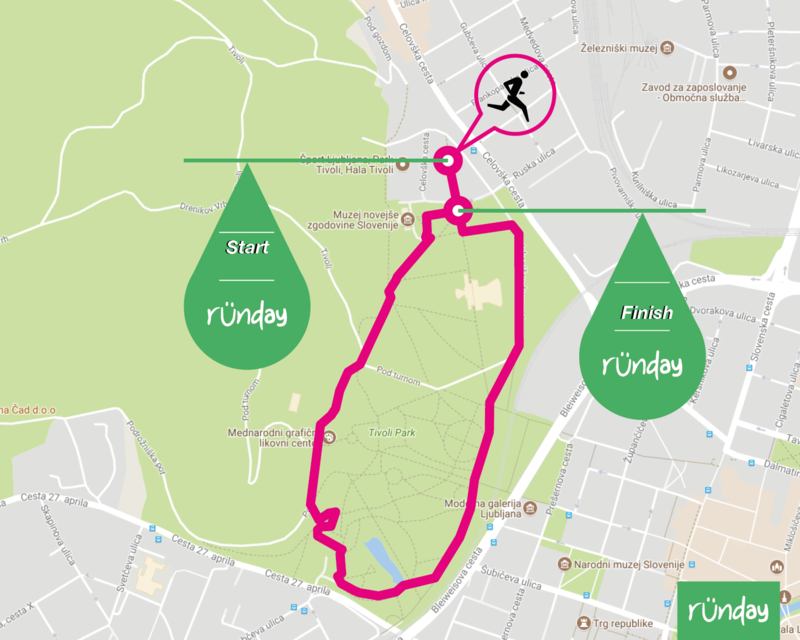 If you are running for the first time please be sure to sign up on the runday website and read the description of the route . After the race get your time on the results page. New and amateur runners are always welcome. We will support you and help you enjoy runday. The length of the route – 5000 m (5km). 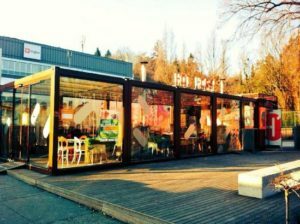 Please keep in mind that runday Ljubljana is held on public paths used by other park visitors. Please respect their space. This will not affect your result, or stop you from achieving a ‘personal best’ but it will help to give a good impression of our races. We try to make our races as safe as possible but when running please pay attention to other road users, cars and the usual hazards you can find on roads/paths. A first Aid kit is available at all races. There’s a bench at the start for bags and jackets, and our volunteers will be here for the duration of the event so you don’t need to worry about storage, however as this is a public event we cannot guarantee the safety of your items so please use common sense and don’t leave any expensive or valuable items.